World Cup - What Can I Watch This Weekend? 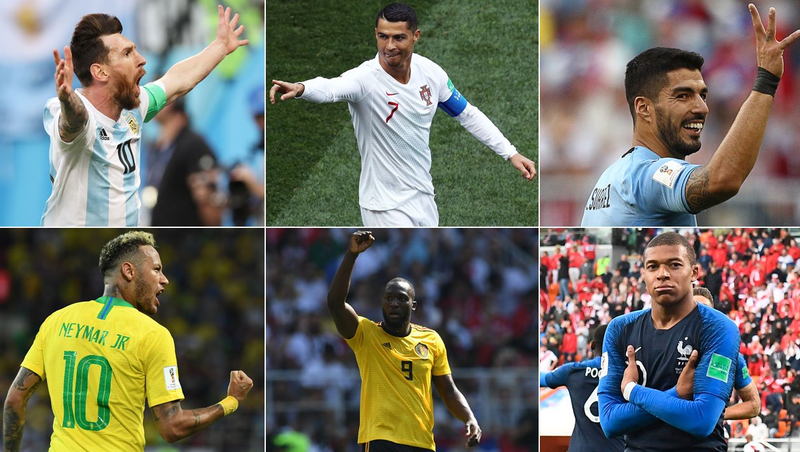 So now that the group stage is over at the world cup, and today brings no new football matches (resting day, you know), what is there to look forward to this weekend? Well, Saturday and Sunday you can sit back, relax and see four of the eight knock-out games already, with the biggest matchup of them all being served first. When Russian hosts scheduled the World Cup, they made sure the big names were protected so that they wouldn’t meet each other in the group stages. If they all topped their respective groups, they would then have easy roads to the quarterfinals. That plan didn’t work out for Argentina though, who lost against Croatia in their group and only scraped out a win against Nigeria in the final five minutes of that last game. They’re up against France on Saturday in what is the matchup between the young stars of a European powerhouse versus the world star that Messi still is. Yes, for France, Paul Pogba and Kylian Mbappe are expected to do well against Argentina’s Lionel Messi. Manchester United’s Pogba played a few phenomenal balls into PSG’s Mbappe already and France looks like the more controlling team of the two in this matchup. Uruguay topped their group without a loss or even a goal against them, but then again they’ve not yet faced any difficult opponents so far. Cristiano Ronaldo’s Portugal is the current European Champion and they thus have the star quality to trouble any side on their day and will hope to give Uruguay a run for their money in Saturday's second match. Still, most connoisseurs’ favorite to be the final winner, Spain have to play home team Russia on Sunday, who’ll have a true 12th man in the stadium as 90% of all those present will be cheering for them. It won’t really matter normally though. Russia looked good in the first two games against Saudi Arabia (5-0) and Egypt (3-0) but as soon as they met up with a team that possesses some real quality, like Uruguay in their final group game, they were clearly and soundly beaten. Going up against Spain most people expect Iniesta, Isco and Costa to finish them off within 90 minutes. Luka Modric, who scored probably one of the best goals of the tournament so far against Argentina in their group game, is probably playing his last World Cup at the age of 32 and he’s certainly making it count. Croatia looks like they are on fire. They go up against Denmark and although Christian Eriksen was able to lead his Danish teammates through a group which also contained France and Australia as well, most commentators expect the tournament to end for them this Sunday. Spain versus Brazil or France in the final.